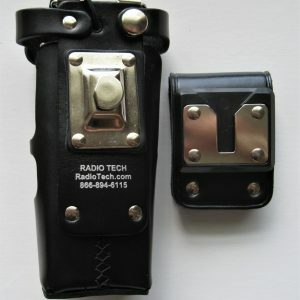 This mini version of our RadioTech Anti-Sway Stabilizer is a 1 inch strip of top grain 8 oz bridal leather. 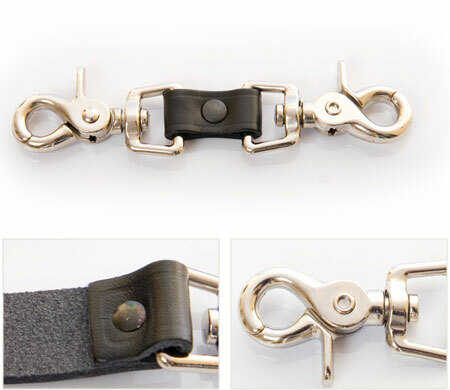 This top grain bridle leather used by RadioTech is extremely durable and flexible, with 1.5 oz. 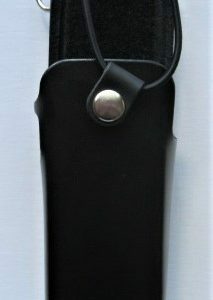 Heavy-Duty Swivel snaps rivet mounted in the middle. 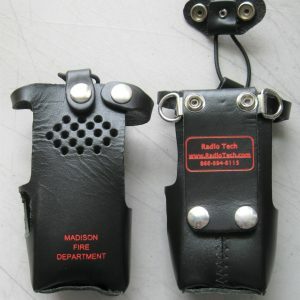 The Anti-Sway Stabilizer maintains the RadioTech Radio Case and Original RadioTech Radio Strap from swaying at the hip. 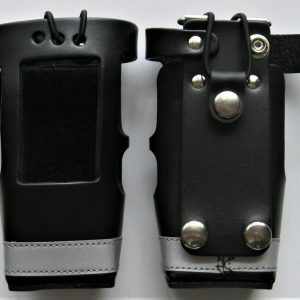 By simply attaching one end of the RadioTech Anti-Sway Stabilizer to the D-ring of the RadioTech Radio Case and the other end of the RadioTech Anti-Sway Stabilizer to the bunker pant belt loop you will keep your radio close and secure on the hip. 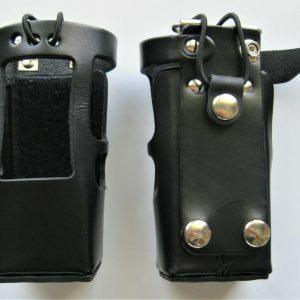 Being the inventors of the Anti-Sway Stabilizer, we strongly recommend that if you have never used an Anti-Sway Stabilizer that you start with the standard 9 inch.